EO4wildlife will bring together a large number of multidisciplinary scientists such as biologists, ecologists and ornithologists around the world to collaborate closely together while using the European Sentinel Copernicus Earth Observation more heavily and efficiently. In order to reach such important objective, an open service platform and interoperable toolbox will be designed and developed. The platform will offer high level services that can be accessed by scientists to perform their respective research and big data analytics. EO4wildlife research specialises in the intelligent management of Big Data processing, advanced analytics and a Knowledge Base for wildlife migratory behaviour and trends forecast. The research will lead to the development of web-enabled open services using OGC standards for sensor observation and measurements and data processing of heterogeneous geospatial observation data and uncertainties. 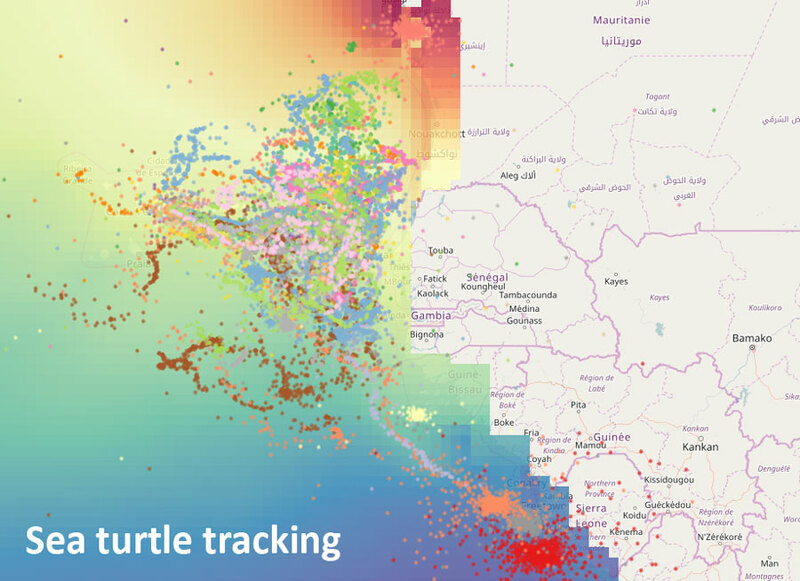 The EO4wildlife platform will enable the integration of Sentinel data, ARGOS archive databases and real time thematic databank portals, including Wildlifetracking.org, Seabirdtracking.org, and other Earth Observation and MetOcean databases; locally or remotely, and simultaneously. IT Innovation is responsible for the work on Big Data analytics and the Knowledge Base, leading the research work on advanced data mining, machine learning and high level data fusion, reasoning and uncertainty propagation. The EO4wildlife project is a 36 month project funded by the EC H2020 framework programme. This project has received funding from the European Union's Horizon 2020 research and innovation programme under grant agreement No 687275.